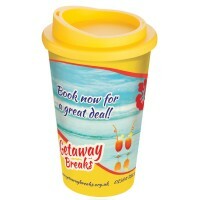 Promotional Mugs and Glasses are always a very popular reusable promotional product. We have a range of traditional ceramic and bone china mugs, alongside a growing selection of thermal takeaway coffee mugs. 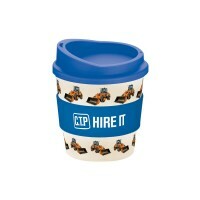 Coffee is big business right now and your customers will be grateful to have your promotional coffee mug in front of them, displaying the list of services you provide. Choose from the categories below. 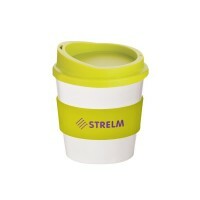 The bestselling Americano Thermal Mug is available in a choice of 13 solid colours and 8 translucent colours for the mug body. 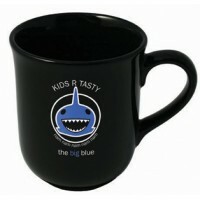 You can then choose to have your mug with or without the silicone grip, available in 13 colours. 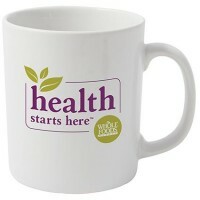 Cambridge mugs are one of our best selling printed mugs and frequently used as promotional gifts. 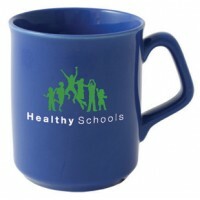 The personalised Cambridge mug is an ideal low cost way to get your message across. Can be printed in spot colours or in full process colour. 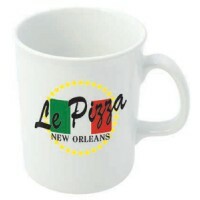 Bell Mugs are a low cost permanent advert for your promotion. 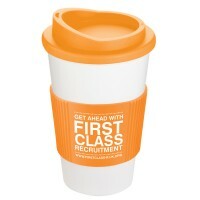 Promotional Bell Mugs are a good shape to be get noticed on any desktop, with plenty of space inside for that all important brew. 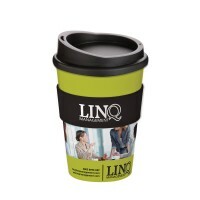 The Bell Mug is available on a fast service for promotional mugs needed quickly. 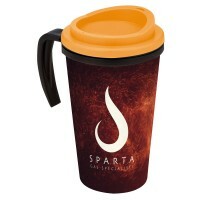 Part of our standard earthenware range and available in an impressive choice of 5 colours, including our dye sublimation service, the Sparta is the perfect choice to carry your promotional message or logo. With its classic look but inexpensive price it's easy to see why the Sparta is one of the best selling mugs in our earthenware range.